Back in 2002 when Utah was under the worlds Olympic microscope, the German makers of St. Pauli Girl took notice of our beloved St. Provo Girl from Squatters and decided that she resembled their iconic girl just a bit too much. And they definatly weren't happy with the play on the name. So they poo-pooed her. "Change her or face litigation", they cried and Squatters complied. Thus began the extensive wardrobe changes we now know. 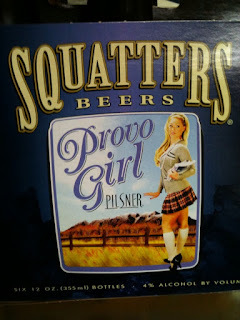 Sadly, today's St. Provo Girl isn't content with the skimpy bar maid outfit, but she's still ever bit as cheeky. So starting this week you'll get to know the new Provo Girl. 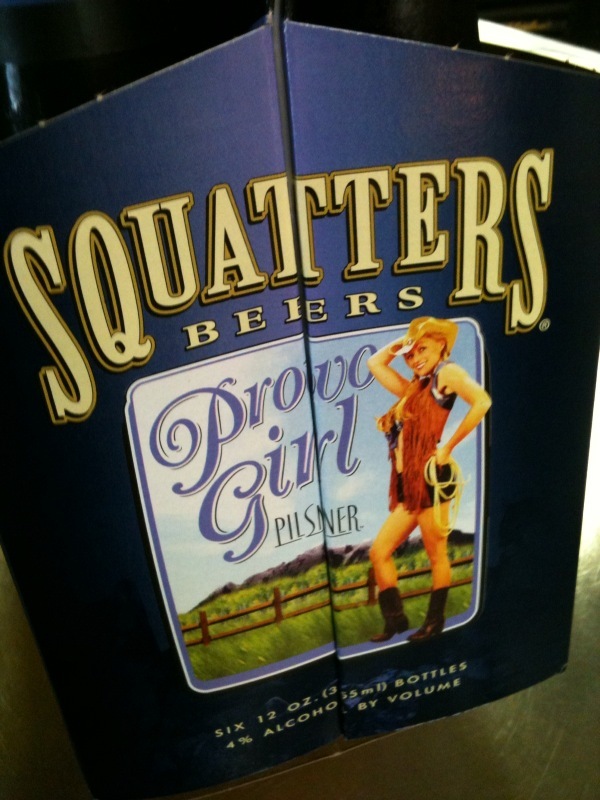 Every quarter throughout the year a different label will be released with a different image of Provo Girl. Here's some previews. We've seen a full array of new beers over the last couple of months - big beers in equally big bottles that have been selling like there's no tomorrow. So what do you do to stay competitive in a market where big beers currently reign supreme? Go small. Reliving some of his fondest beer memories growing up in Milwaukee, Wasatch Brewing founder Greg Schirf; In a moment of nostalgia has decided to bring back the Pocket Rocket. "We used to call them 'Pocket Rockets' because we could put them in our pockets and take them anywhere. They were down in two swigs and always stayed cold. Miller and Pabst both had them when I was growing up in the 70's and I just remembered them as being a lot of fun and perfect for the right occasion." Schirf is calling his 7 ounces "Little Slammers". They will be available in a 4% Alcohol by Volume for the grocery store market called Classic Lager and a higher 5.2% Alcohol by Volume for the liquor store called Wasatch Golden Ale. "Sometimes you just need a quick hitter", he added "as an old fart, I have been doing this beer thing for 24 years now, I decided to indulge myself with a blast from the past. Kind of a toast to my misspent youth." I've always loved the idea of small bottles. Sometimes I think that a massive - boozy beer served from a Jeroboam sized bottle makes about as much sense as hunting quail with a bazooka. Not always... but occasionally. The first "Little Slammer" released is the Golden Ale, available right now at the Utah Brewers Cooperative and within the next few weeks at liquor stores. Pours a bright gold color with a pale white head. The nose has notes of sweet corn, a subtle grassy/herbal hop profile and toasty malts. Taste has a definite malt sweetness to it with a crisp, dry hoppiness to it. Very drinkable, great tasting "Lawn Mower" brew. 5.2% abv. 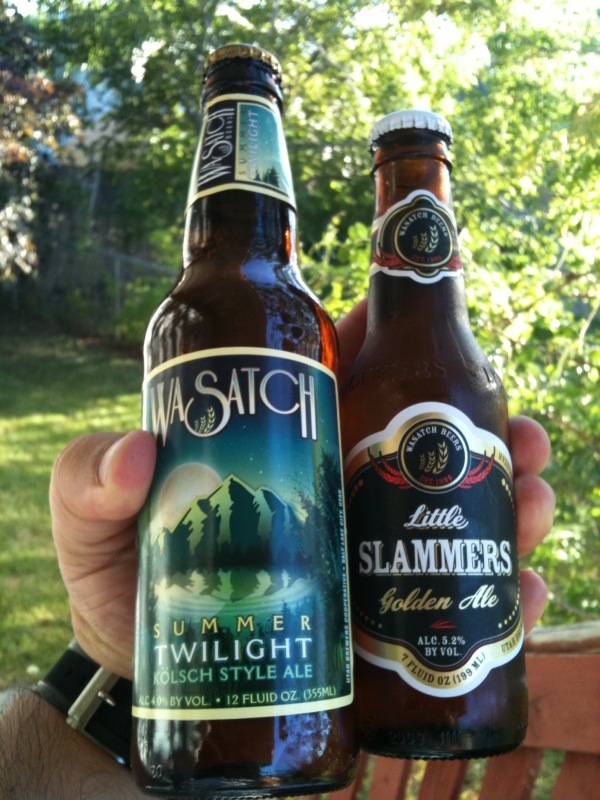 The "little Slammer" Classic Lager should be available by the weeks end. Sold at the Co-op and grocery stores. We've been saying that this has been Utah's beer year for a couple of months now and with the exception of Tracks closing it's doors, there seems to be no stopping the new enthusiasm for Utah's beer. Previous to last weekend, there has not been a large festival primarily devoted to beer since 2006. 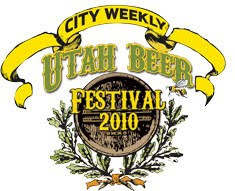 In the Fall of 2007 the Utah Brewers Festival was scheduled but was canceled due to inclement weather. Last year Snowbird did put on beerfest but it was part of the larger "Grill on the Hill" barbecue competition. After years without a proper beer festival in Utah organizers are definatly making up for lost time. Snowbird recently put on the aptly named Snowbird Beerfest, yesterday we informed you about Brian Head Resorts first ever Beerfest and today we're happy to tell you that the City Weekly is putting on their own beer festival in Salt Lake City. We're still waiting for City Weekly to respond to our emails - it's their fest, I'm sure they want to get the info out on their time table. What we do have for you is that the City Weekly Beer Festival 2010 will be held on Saturday September 11th and will coincide with their first ever beer issue. No location has been made available to me yet, nor any other details. At this point I don't anticipate that this beer festival will be any different than the others. My guess is that it will involve primarily local beers, including high ABV brands with local music and food. It would be nice nice if they could convince some out of state breweries to participate by bringing some of their bottled beers, but I understand the logistics with bottles vs. kegs. More info as becomes available. Also happening this weekend, Beergoon! The Third Annual Beergoon Day will held at Lagoon this Sunday June 27th. and is put on by our good friends over at Tribute to Beer. Click on the link for all of the details. Southern Utah tends to get left out of a lot of Utah's beer events. It's not that there's no passion for beer south of of I-70, it just comes down to population. The Wasatch Front And Back is the densest population center in the state so It makes sence that the majority of beer gatherings end up in the north. Zion Canyon Brewing does a good job with their "Beer & Gear" and "Earth Day" festivals but there have been little to no full scope beer festivals...'till now. On august 21, 2010 Brian Head Resort will be be the spot for the first Annual Festival of Flavors. Hosted by the Grand Lodge and Cedar Breaks Lodge the festival will feature beer from at least eleven Utah breweries and wine from The Castle Creek Winery. A small beer competition is also scheduled to take place. Beers being poured will include high alcohol (4.0% +) offerings from Utah breweries that choose to bring them. Food, music and lodging will also be available. We'll bring more info as the date get's nearer. If you've ever had dreams of getting your homebrew out of the kitchen and into your own brewery, the perfect opportunity may be at hand. The Brewery located in the city of Tooele, Utah has been a staple for many in the west desert community. Tracks has had it's ups and downs in the past decade. Between the inconsistent beer and an identity problem, the large - attractive brewpub seemed to have problems finding it's way as a craft beer destination. Tracks seems to do well as a sports bar, but the craft beer side seems to have a tougher time. I don't know if it is due to inexperience or a lack of craft beer education in the community, but one thing is for sure it could be a huge opportunity for someone. So, one groups lost may be another gain. Do you have the ability to recreate a craft beer island in the west desert and educate the people of Tooele about craft beer? this may be your day to shine. Roosters is wrapping up their 15 year celebration tonight with a big party! The shindig gets underway after 6 pm tomorrow night, Tuesday June 15th. It's an open air celebration. Admission to the party is free, there will be a nominal charge for food and beverages as well as random swag giveaways for wearing Roosters gear or tie-dye. In addition there will be a pig roast and several other creative outdoor food specials including a vegetarian option. Live music and activities for kids will also be provided. 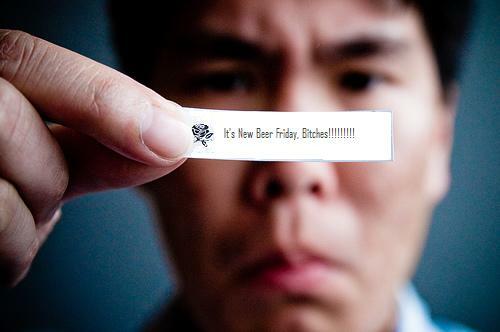 The Fortune Cookie says it all! HOPPERS: This is the Pilsener - Storehouse Reserve. This is a slightly amped-up version of their multiple gold medal winning pilsner. This version won a Bronze medal in the German Pilsner category last week at NABA. Should be available for sale (dine-in or take out) after 4pm today. $2 per bottle or $12 a sixer. EPIC SMOKED & OAKED BELGIAN STYLE. EPIC HOPULENT INDIA PALE ALE batch #2. SIERRA NEVADA KELLERWEISS is one of the only American Hefeweizens made using the traditional Bavarian style of open fermentation. Notes of ripe banana, spicy clove, with subtle wheat and lemon notes. SAMUEL ADAMS COASTAL WHEAT. Soft lemon and wheat malt with a dry spicy finish. 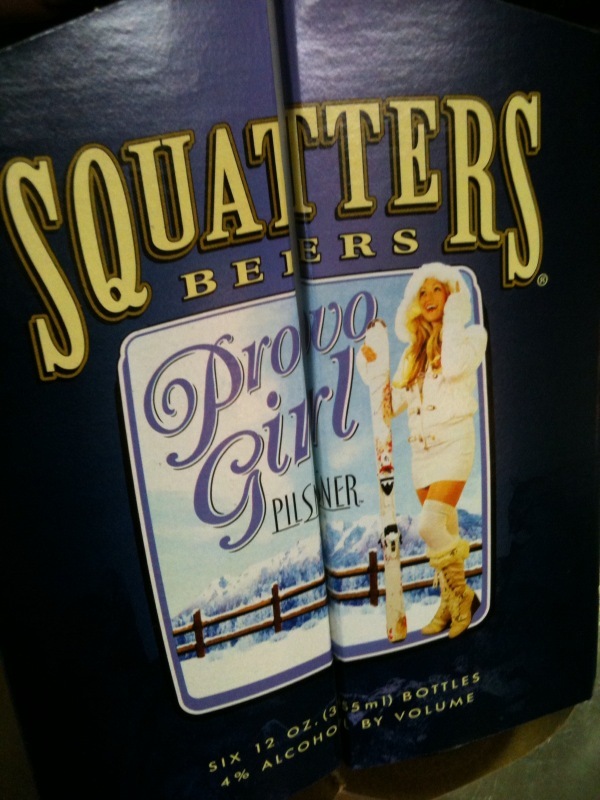 Evanston Brewfest & Big Beers at Snowbird? Generally in Utah, Pioneer Day celebrations can be... well, on the lame side. The odds of you finding a celebration - with beer, outside of your own backyard is about as rare as a Democrat sighting in Provo. So if you want to celebrate Pioneer Day - with out Celebrating Pioneer Day and do it with beer, I have a recommendation for you. The 2nd Annual Evanston Brewfest will be held on Pioneer Day - Saturday, July 24th from Noon until 10:00 PM on Main Street in Historic Downtown Evanston! Microbrews from Noon until 5:00 PM and then street party until 10:00 PM! 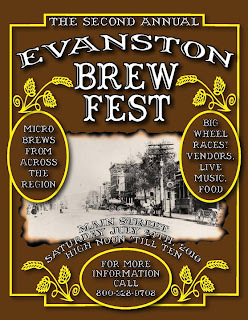 For more info contact Evanston Brewfest at evanstonbrewfest@yahoo.com or call 800-328-9708. Live entertainment, food, street vendors and BEER, BEER and more BEER! More info on participating brewers will be made available as the event gets closer. 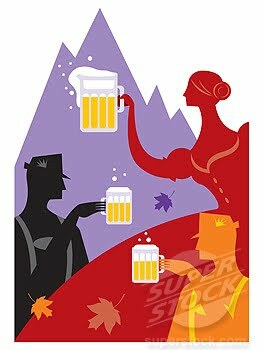 And speaking of Beer Festivals, I understand that Epic will be pouring their beers at the Snowbird Beerfest on June 19th. I've attended a lot of beer festivals in Utah and I've never known beer over 4.0% abv to be sampled. From what I understand, there is a loophole that does allow for high point beer to be poured, just like state allows for wine tastings at wineries and special events; as long as the alcoholic beverage in question has been paid for and is served from it's original container. I guess this means that Uinta, the UBC, RedRock, Hoppers and Moab Brewing could all technically pour their "bigger" beers as well at Utah's beer festival now. If anyone has a better understanding of this practice as it relates to wine and wineries we'd love it if you could enlighten us. For more detailed discussion check out the Utah Beer Forum. When Salt Lake City Resident Apa Sherpa broke his own record climbing on his Twentieth assention on Mt. 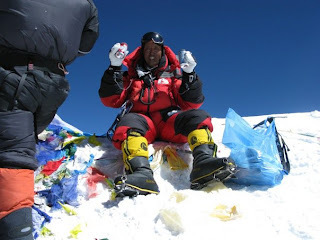 Everest he decided after all that work I need a beer (I'm paraphrasing of course). His beers of choice? Bohemian Brewery's Pils and their Viennese. Great Choices Apa! I only hope at that altitude thy didn't explode like a cheep Wyoming firework. Congrats Apa and Bohemian. Cheers! There's been a lot of beer related news this year in Utah. It's hard to get a grasp on all of it. We do our best here at Utah Beer to "keep you in the know" as to what's going on before it happens. Luckily we're not alone. 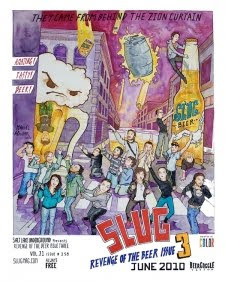 Three years ago the staff at Salt Lake Underground Magazine (SLUG) took notice of Utah's emerging beer scene and decided to start publishing an annual issue devoted to my favorite subject, beer. Editor Angela Brown and staff have put together a great issue covering the full spectrum of craft beer here along the Wasatch Front. They even sought out the most renowned beer writer in three zip codes, me. SLUG is available around Salt Lake City at various kiosks for free or online here. Check it out, I'm sure they'd love some feedback. Also, I've posted some photos from last weeks NABA Mountain Brewers Festival at the Utah Beer Facebook page. After wading through an ocean of beers this week we were finally able to award medals for this years NABA Competition. I'll post more details later but I wanted to make sure that everyone sees how well the Utah Crew performed. Here's the complete winners list. Congrats boys and girls. I'll try and post some photos in the next few days. Yesterday Epic was busy winning awards. It seems Uinta has been busy winning awards as well, in Australia of all places. Uinta Brewing Company was awarded three medals at the 2010 Australian International Beer Awards. In the Packaged Ale category of the competition, Anglers Pale Ale was awarded Gold and Cutthroat Pale Ale was awarded Silver. Uinta's Anniversary Barley Wine was presented with a Silver medal in the Scotch Ale and Barley Wine category. Congrats Guys! Now lets see how they do at the Mountain Brewers Festival up here in Idaho Fall tomorrow. There's a lot of great beer up here. You'll be sad little beers geeks if you miss out. I'm outta town judging beer at NABA so post will be iffy, but here's some great news. Epic Brewing wins gold and bronze at the 2010 San Diego International Beer Festival!!! Brainless Belgian takes GOLD and Copper Cone Pale Ale brings home the BRONZE to Utah!!! Epic is golden with one of only 29 gold medals awarded from competitors around the US and worldwide. Congrats guys! Moab, Utah is an area of the west where it's common for temperatures to stay well above 100 degrees for most of the summer months. Moab Brewing Company; the towns only on-site brewery is responsible for making sure local and visitors alike have their craft beer needs taken care of while visiting the vast and beautiful area. This little Oasis in the desert was founded today in 1996 by John Borkoski and Dave Sabey. The beautiful and unique landscape in and around Moab provides the inspiration for the hand-crafted ales and lagers that Brewmaster Jeff Van Horn cranks out on a daily basis. So raise a glass of Moab's beer to one of Utah's own today.